Dear reader we have already learnt that the density of no-fines concrete varies with grading of aggregate. The grading requirement, size and shape of aggregate already discussed there. The density of such concrete is measured using density of ingredients comprising concrete. In FPS unit we will use lb/ft3 instead of Kg/m3. Now why do we calculate density in such way? This due to applying very little or no compaction effect; if provided compaction is very negligible. We can use both normal weight aggregate and lightweight aggregate in nofines concrete. When normal weight aggregate is used, the density of this concrete lies between (1600-2000) kg/m3. 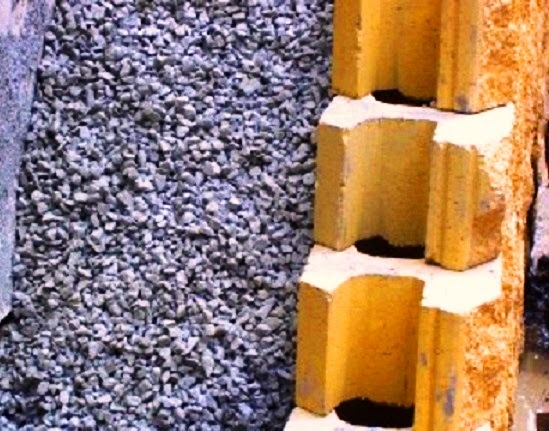 When lightweight aggregate is used; the density of no-fines concrete may reach as low as 640 kg/m3. For different aggregate/cement ratio (measured by volume), for different water/cement ratio (measured by mass) the densities of no-fines concrete are provided in following table (where (10-19) mm aggregates are used).